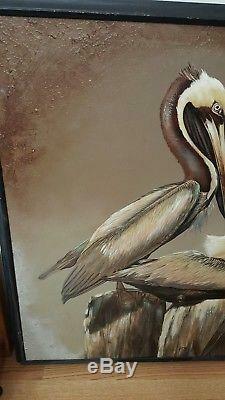 Mid-Century 1960s Rare Vintage Oil Canvas Pelicans Signed Letterman Very Bright & Beautiful Vintage large three brown pelicans by Letterman Landscape Scene Canvas Painting Signed by Letterman Canvas approximately 60" Wide x 40" High Please see all photos for condition description Any questions please don't hesitate to ask. 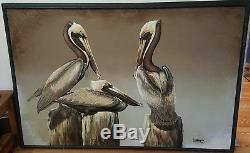 The item "Mid-Century 1960s Rare Vintage Oil Canvas Pelicans Signed Letterman" is in sale since Sunday, May 20, 2018. This item is in the category "Art\Paintings". 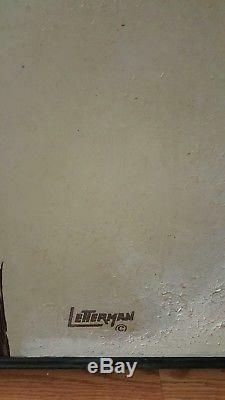 The seller is "fashionsclub" and is located in Fountain Valley, California.